FAIRFAX, VA – The MBA team from Emory University’s Goizueta Business School in Atlanta, GA, delivered the best case for promoting the implementation of Common Core State Standards during The Executive Leadership Foundation’s (ELF’s) 2014 Business Case Competition. 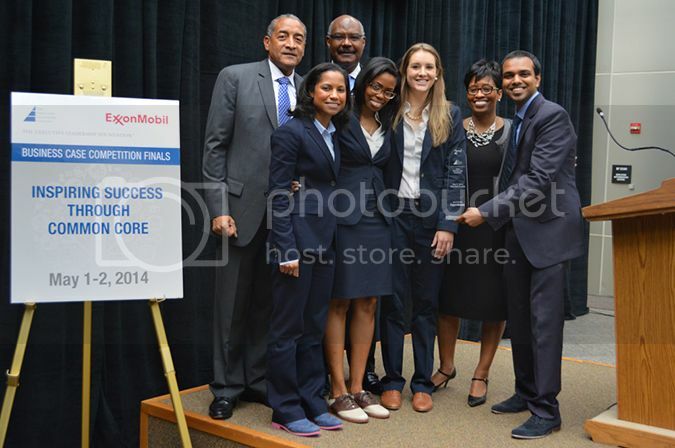 Goizueta was one of three finalist teams competing for $70,000 in scholarships. Sponsored for the fifth year by Exxon Mobil Corporation, ELF’s annual competition invited MBA/MA teams from 70 business schools to analyze a compelling business issue that challenged their critical thinking, analytical, and communications skills. 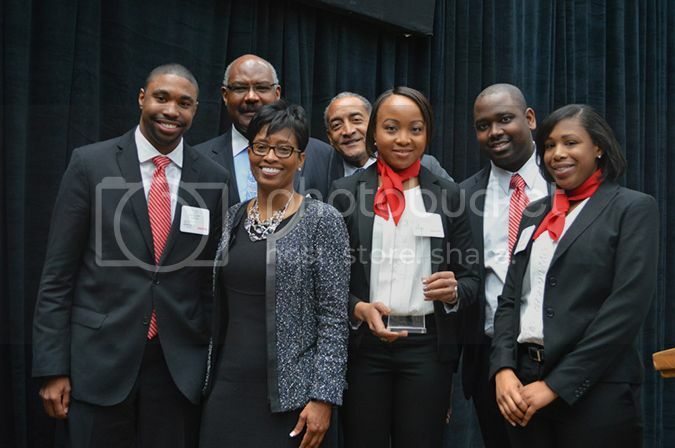 The 2014 winners were selected by a distinguished panel of judges including leaders from corporations and non-profits such as BAE Systems, Comcast Corporation, DuPont, UNCF, Hispanic Association on Corporate Responsibility, The Johns Hopkins University Whiting School of Engineering and JEA. ELF’s Business Case Competition challenged this year’s teams to develop solutions for “Inspiring Success Through Common Core,” by developing strategies for the successful implementation of the Common Core State Standards to improve educational achievement and support the continued prosperity of our nation. 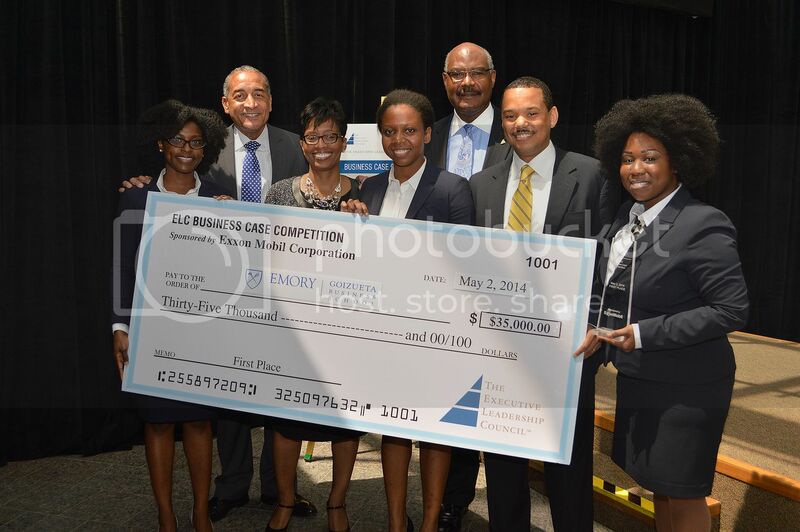 ExxonMobil has sponsored the ELF Business Case Competition for five consecutive years on topics such as corporate philanthropy and black nonprofits, innovative STEM education for middle school students and devising an energy plan reducing greenhouse gases for the U.S. by the year 2030. The Executive Leadership Foundation (ELF), the 501(c)(3) related charitable organization of The Executive Leadership Council (ELC), focuses on improving local communities and helping disadvantaged groups within the broader society through its support for education programs, and provides scholarships to deserving students interested in business and corporate careers. The Executive Leadership Council is an independent non-profit 501(c)(6) corporation founded in 1986, and is the pre-eminent membership organization committed to increasing the number of global black executives in C-Suites, on corporate boards and in global enterprises. 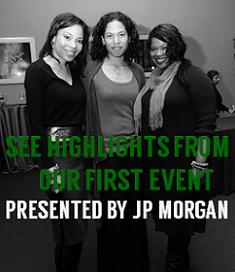 Comprised of more than 500 current and former black CEOs, board members and senior executives at Fortune 500 companies and equivalents, its members work to build an inclusive business leadership pipeline that empowers global black leaders to make impactful contributions to the marketplace and the global communities they serve. 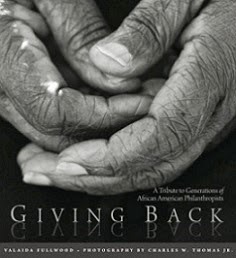 For more information about The Executive Leadership Council and Foundation, please visit www.elcinfo.com.